After nearly six years in exile holed up inside the Ecuadorian Embassy in the heart of London, Wikileaks founder and publishing visionary Julian Assange has suffered another body blow; Assange, who has been absolved of all accusations, has now been rendered incommunicado inside the tiny embassy in the Knightsbridge section of London. This latest attack on Assange, this shut down of crucial communication devices, obviously challenges Wikileaks publishing activities and undermines the crucial work of this incredibly important global news and publishing service. Meanwhile, the US and UK governments continue their drumbeat demonization of Assange, who has become part of their Russiagate frenzy towards a new Cold War and maybe World War III. Indeed, the US and UK continue to threaten him. In the US, some senators and the current CIA director [Mike Pompeo], about to become Secretary of State, want to see Assange tried for treason and put to a public death. They threaten to arrest Assange in violation of two UN rulings and their own laws, as soon as he walks out of the embassy. In the following interviews with noted journalist and filmmaker John Pilger and Christine Assange, mother of the WikiLeaks founder, we attempt to shed some light on the crucial case of Julian Assange and why he should finally be freed from further prosecution so that he can continue unfettered the great work WikiLeaks has done as one of the most significant publishers of government whistleblowers in modern history. Dennis Bernstein: Well, there have been some changes at the [Ecuadorian] embassy. They have cut off Julian’s Internet, effectively his lifeline. He has been living in that small room for so many years, and now they are trying to make it a little smaller. Could you give us your best understanding of what is going on now? Have you spoken to him? John Pilger: No, I haven’t spoken to Julian. It’s not possible. They have done more than cut off the Internet, they have cut off the phone. Ecuadorian authorities have placed a blocker on all communications at the embassy. Perhaps worst of all, he is denied visitors. I know that his lawyers are meeting today and there is possibly a meeting with the Ecuadorians. Beyond that, I don’t know anything. You can appreciate the effect of these measures on someone who has been effectively imprisoned in a very small space without sunlight for going on six years now. This is tragic and it is coming from a small country that recognized the justice in the Assange case and gave him political asylum. While I am not excusing this government’s actions, we must recognize that it is under direct pressure from the United States, which is rolling back so many of the so-called progressive governments in Latin America. They cut off the communications for Julian just a day after Ecuador welcomed a delegation from the US Southern Command, the Pentagon’s arm in Latin America and the Caribbean. The government in Ecuador has tried almost everything to bring justice to Julian. It has tried to negotiate with the British government, it has called on the British government to give Julian free passage out of the embassy. He is not even given right of passage to a hospital. There is a particular cruelty being imposed on Julian Assange because he is the embodiment of dissent which is missing across the political spectrum in Western countries. He has become the enemy to governments in the West. Taking away his right to communicate is an attack on freedom of speech. It is an attack on our rights as well as his. I have never met anyone as defiantly courageous as Julian. Not at all courageous are the so-called opposition, who are silent. DB: Assange is a very special kind of publisher who has an impact on history and the way we are going to remember it. But there is a cynical chorus of corporate journalists who scoff at truth tellers. It is almost out of style to tell the truth, to do your job of reporting. JP: That’s quite correct. I have been a journalist for a long time and I always regarded journalism as involving a certain duty to find a way of telling the truth. Finding the facts out and giving them to the public. This was long before people were called investigative journalists, because all journalism should be investigative, with the object of finding out the truth. Julian Assange is being mistreated in this way because he is doing what a true journalist should do. He is finding the truth about those who seek to manipulate and control our lives, and by telling that truth, calling them to account. For that, he is being subjected to a form of torture. Being denied all contact is a form of torture. Julian needs our support more urgently than ever. 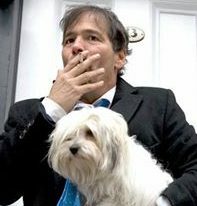 Randy Credico: Between us, we have done twenty programs on Julian Assange. John, you kicked it off April 1 of last year. I was so optimistic then that he would be out of this jam. A few months later Sweden dropped these bogus charges against him. Where do you see things going from here? JP: What is happening to Julian is part of a very aggressive campaign against democracy, against dissent. At the moment, that campaign is at a critical stage. We are witnessing a massive provocation of Russia. We have the biggest military build-up since World War II on the western borders of Russia. At the same time we have the biggest military build-up since World War II in the Pacific. The issue here is that the dominance of the United States is being challenged. That is intolerable. That campaign to provoke the two powers of Russia and China is reaching a kind of critical mass. It is very dangerous. There is a great deal of talk about a trade war. What we should be talking about is the prospect of a shooting war. Provocations of Russia now are so extreme. This Skripal episode in Britain has been exposed in the last couple days as a series of fabrications. Laboratory results have pulled the rug out from under the entire British security establishment in saying there is no verifiable evidence that Russia is the cause of this attack. The whole thing is an appalling fabrication. But why? It is part of an almost inexorable campaign to reach a point with Russia where they have to respond militarily. Wars begin in this way. I think that it is more dangerous now than at any time during the first Cold War. What we are seeing is the latest in a long campaign against WikiLeaks that seeks to criminalize journalism. A document which WikiLeaks published from 2008 made it clear that an organization within the Pentagon laid down what the plan would be as far as WikiLeaks was concerned. The strategy was to destroy trust in WikiLeaks and destroy its editor. That was the plan ten years ago and that plan is basically being carried out. This document makes very clear that the threat was truth. WikiLeaks emerged five years after the invasion of Iraq, which was started when governments lied about weapons of mass destruction. That was the justification for the invasion of Iraq, which killed about a million people and caused the flight of some four million others from the country. This poisoning case in Salisbury appears to be a lie of a similar nature. But we’re not talking about a war this time with a Middle Eastern country. We are talking about a war with the second most powerful nuclear-armed state. DB: Is this another Gulf of Tonkin incident? JP: The Gulf of Tonkin sounds pretty mild compared with some of the fabrications that have led to wars since then. I am afraid that this will serve as justification not for an invasion but for a kind of war of constant intimidation. But as Putin has made clear, the Russians have no intention of accepting this. All of this borders on collective insanity. This can only end in the most horrific war that would devastate both sides, particularly exposed countries like Great Britain. Those who stand against all of this have to be swept aside, the most prominent being Julian Assange and WikiLeaks. When you think back to 2016 and the leaked emails of John Podesta that revealed the direct connection between the Clinton Foundation and organized jihadism in the Middle East, that revelation tells more about the machinations of great power than anything else that has been published in years. The same was true of the WikiLeaks revelations of collateral murder that Chelsea Manning leaked. The power of that single video informed people all over the world of how wars are conducted by their own governments. It changed or reinforced the perceptions of millions of people. A war has been declared on that kind of journalism. RC: You can see that clip in John Pilger’s classic documentary The War You Don’t See. JP: That film, which I made in 2013, was basically interviews with quite distinguished mainstream journalists on both sides of the Atlantic. Their collective message was that, had the media not colluded with governments in the run-up to the invasion of Iraq, had they not amplified and echoed the deceptions and lies of governments, there is a great possibility that that war would never have happened, all those people would be alive today, ISIS would not exist today and there might even be the beginnings of some kind of hope in the Middle East. We shouldn’t forget this when we are thinking about the present situation, as Western governments provoke Russia and China. We have 400 military bases ringing China but you hear almost nothing of these in the press. Russia is in effect encircled. Unless people learn of these incredibly important truths, nothing will be done. DB: This is exactly where we need the sort of structural reporting that Julian Assange does. And this is exactly why they want him out of the way. This interview with Assange’s mother, Christine Assange, was part of an original WBAI Radio series produced by Randy Credico’s Live on the Fly. Flashpoints on Pacifica Radio has joined forces with Live on the Fly, to continue the work and the fight to free our brother journalist, information freedom fighter, Julian Assange. The interview with Christine Assange by Credico and Bernstein was broadcast over Pacifica National Radio on April 5th. 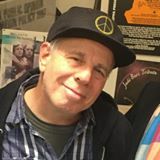 Dennis Bernstein: Randy and I were hoping that this would be the occasion where we would be celebrating and have Julian on the other line. Unfortunately, that is not happening. Meanwhile, could you bring us up to speed on how things stand? Christine Assange: John Pilger mentioned that we are at a rather critical stage with Russia, because of the apparent propaganda around this [Sergei Skripal] poisoning in the UK. It has been found not to be conclusively related to Russia. I would say that we are also at a critical stage regarding Julian’s safety and freedom. The two situations are related. For example, the day before Julian’s communications with the outside world were cut off, one of the members in the UK parliament asked, “Isn’t it about time we took some action against the Ecuadorian embassy?” He wasn’t happy about Julian tweeting about the government response to the attack in Salisbury. Julian’s doubts have since proven justified, with the lab in Porton Down now stating categorically that there is no evidence to connect Russia with the attack. At the same time, Julian was invited to give evidence on Cambridge Analytica and Facebook, so there were also these powerful interests interested in keeping him quiet. Meanwhile, the US military was moving into Ecuador with plans to increase the pressure to hand Julian over to the US. We know this because it has been revealed by former ambassador Craig Murray that the US spent some $87 million to bring down the presidency of Rafael Correa, who gave Julian political asylum from US threats against his life and liberty. Now there is pressure on the new president [Lenín Moreno]. By April of 2017, the US was firmly in the position of wanting to go after Julian. They were all on board. [Mike] Pompeo, who has now been promoted to Secretary of State, wants to arrest Julian once and for all. John Bolton has just been appointed National Security Advisor and has suggested that the US government should wage a cyber war against WikiLeaks for revealing Clinton emails and the CIA hacking scandal. In 2010, Trump commented that those responsible for the WikiLeaks exposés should get the death penalty. DB: It is no surprise that every move would be made to shut down Julian Assange in the context of this Salisbury scandal. The Clinton machine has been fanning this Russiagate flame all along and now they appear willing to risk World War III to prove that Hillary didn’t lose the campaign because she was a horrifying candidate. CA: Julian was also reporting honestly on what was going on in Catalonia [Spain], which was absolutely disgraceful. You don’t have to support either side to be against the brutal crackdown against democratic rights. The reason Ecuador gave for cutting all of Julian’s communications was a single tweet about the elected president of Catalonia who has now been imprisoned. The response of the Spanish government can only be described as fascist and everyone who supports democracy should be standing up in opposition. Randy Credico: In part because of a courageous tweet by Julian, Germans have now released [former President of Catalonia Carles] Puigdemont and they will not expedite him to Spain. I believe a number of factors have come together to account for this latest persecution of Julian. First, his reporting on Catalonia, then his questioning of the Salisbury rush to judgment and finally this attack in parliament. Within days, they had cut him off. CA: Power aligns. The struggle for freedom throughout the world and throughout time has been the struggle against corrupt power. We are at a point now where we really need people power. I like the Orwell quote, that if there is any hope, it lies in the proles. Throughout history, it generally has not been the leaders who have ensured our rights. It has been the people who have stood up and demanded that their leaders act in their interests. We are at a pivotal point in history where, as John [Pilger] said, we are facing a possible global war and at the same time a war on journalism. Three petitions have now been sent to the president of Ecuador, one from a group of former US intelligence officers supporting Julian, one from a group of world thinkers, and one from the Landless Workers Movement in Brazil. It is also important to get involved in actions, such as the internet vigil “Reconnect Julian,” where truthful journalist worldwide and ordinary people have joined together to pressure the US not to lean on Ecuador to silence Julian. CA: We are working to build a global network to allow people to quickly access planned actions. We have up one Twitter handle, “Assange Actions,” the “Reconnect Julian” hashtag and the “Unify for JA” hashtag. We also need to take it to the streets because that is where change starts. A good example is the historic vigil outside the Ecuadorian embassy by UK citizens, which has been going on for six years now. There were a lot of actions in support of Julian prior to his going into the Ecuadorian embassy. Ecuador showed principles, ethics and courage in protecting Julian. But now with the change in leadership, the Ecuadorian government is coming under extreme pressure and appears to be wavering. RC: Do you have message you would like to send to President Moreno? CA: Stand up for the sovereignty of your country. You have a fabulous constitution which is a template for world democracy. Don’t let down Ecuador. Don’t let down Julian. Don’t let down the concept of a free press.